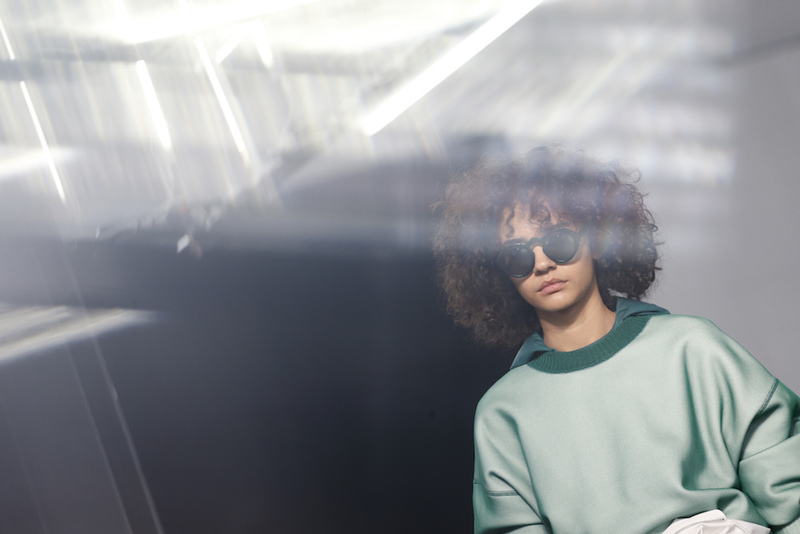 A glimpse of sporty cool! the SPORTMAX collection for spring 2018 fuses athletic hints in the CHIC tradition. Stripes, technical fabrics, and a more active vibe styled to wear comfortably for any occasion. Known as the more casual sister of MaxMara, the new looks on the runway during Milan Fashion Week take a further step in forward fashion. 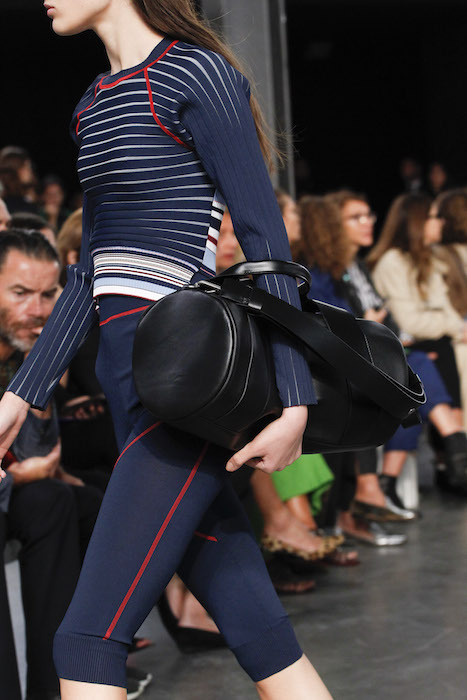 A few favorites details include the sporty stripe and the more athletic looks. 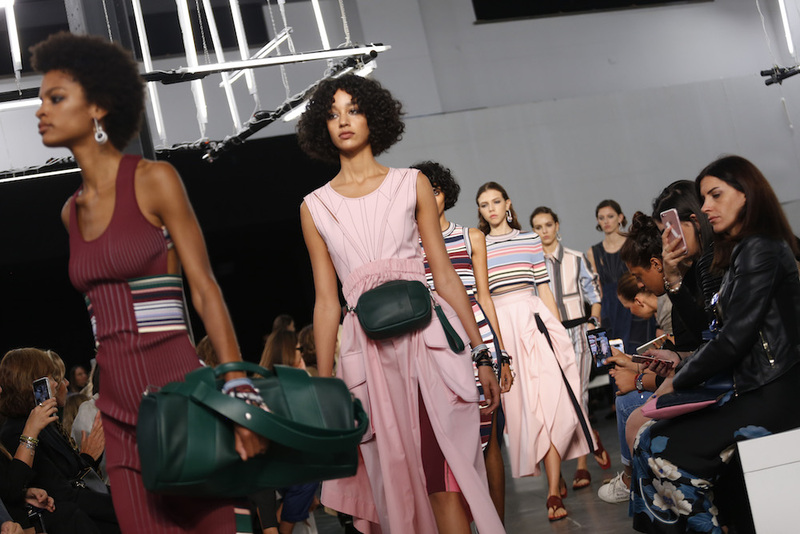 The fanny pack makes a serious comeback in this show, with the mini bag spotted in multiple looks, creatively placed on the shoulder and waist. 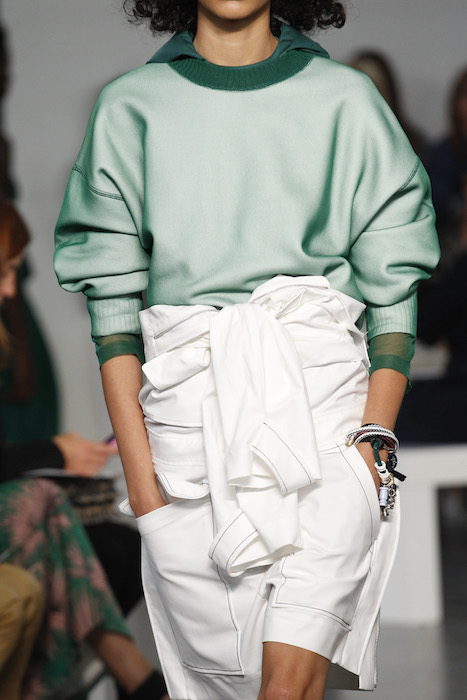 SPORTMAX cool Milan Fashion Week fave details by brigitte segura. 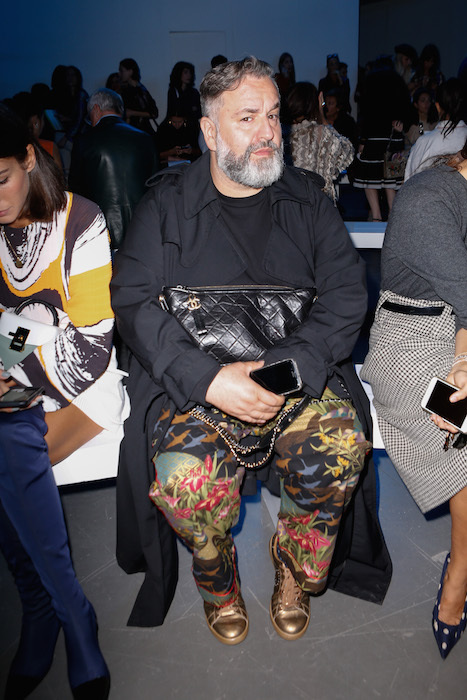 I couldn’t resist the man that always makes me smile @SimoneGuidarelli Frow.